In the News – £10,000 for each millennial? 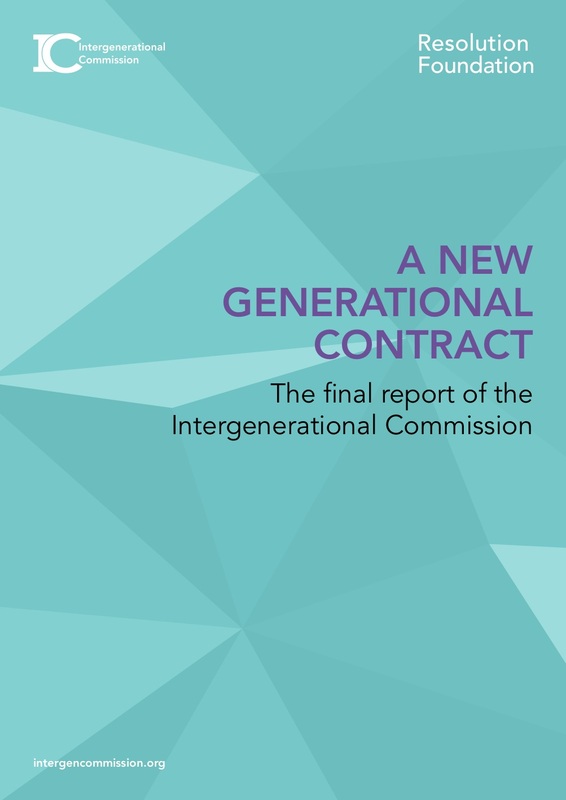 That is the main headline that much of both new and old media have pulled from a report published this week by the Intergenerational Commission, delivered by the Resolution Foundation thinktank. However, this is actually just one (the last, in fact) of ten recommendations made by the commission in A New Intergenerational Contract. We look at some of the data used in the report and reactions to it. The Metro, Guardian, i news and the Independent all led with the £10,000 ‘citizen’s inheritance’ angle, mostly in a positive way. Several of them also included opinion pieces praising the idea, such as The Guardian and i news (which actually had a second opinion piece listing six reasons why it is a good idea, so enthused were they). The Independent’s opinion piece was not a fan of the proposal. While the New Statesman argued that the idea was a positive one, the Huffington Post asked what difference £10,00 would actually make to young people (their choice of people to answer this could be seen as not entirely representative). The Spectator queried the need for the £10,000, questioning whether it was actually harder to buy a house now than 30 years ago. The Mail, again focusing on the £10,000 was less impressed than the others, especially in its opinion piece. The Express focused on its core readership, picking out the recommendation that care costs for the elderly should be capped at £50,000. The BBC reported on the commission’s recommendations in its Business section, with a headline leading on the idea of taxing pensioners to ‘heal the intergenerational divide’. Given the reports recommendations on collecting National Insurance from those over state pension age but still in work, the BBC also produced a fact check article on how many pensioners are working and what they’re doing (referring to UK 2011 Census data along the way). ITV’s headline also included the ‘taxing pensioners’ angle, but did also mention the £10,000 ‘citizen’s inheritance’. The Financial Times assessed the recommendations of the policy quite thoroughly, with an additional opinion piece supporting the need to reduce the intergenerational wealth gap, focusing mainly on reform of council tax. A second opinion piece takes issue with some of the recommendations of the commission’s report. The £10K suggested by the #IntergenerationalCommission may be of some help to milennials, but not in buying a house as it wouldn't be nearly enough for a deposit & more importantly it would be impossible to get a mortgage in zero hours/temporary contracts that are so prevalent. Edited 10/5/2018 to add BBC fact check article and second FT opinion piece.